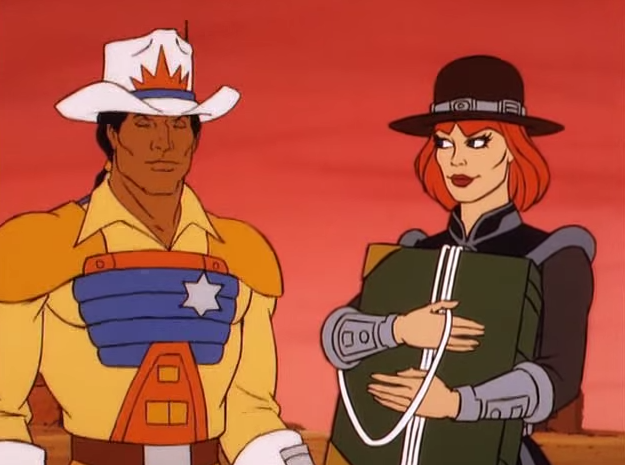 John Kenneth Muir's Reflections on Cult Movies and Classic TV: Saturday Morning Cult-TV Blogging: BraveStarr: "Who am I?" 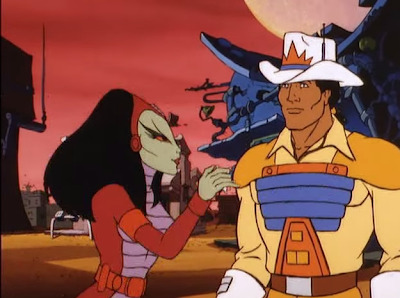 Saturday Morning Cult-TV Blogging: BraveStarr: "Who am I?" In the BraveStarr episode “Who am I?,” Tex-Hex’s minion Vipra steals the Lost Book of the Ancients, and uses its magic spells to embark on a reign of terror. 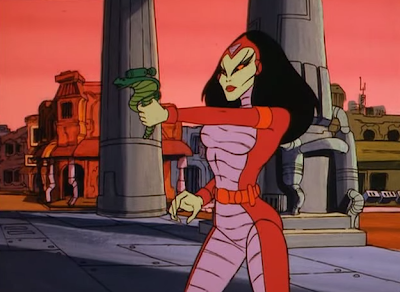 She manifests giant snakes to trap Jamie, uses a spell to make herself fly, and renders BraveStarr an amnesiac. BraveStarr learns from the Shaman at Star Peak that his memories are still there,” but they are “locked behind a door” and only he can find the key to unlock them. Meanwhile, Vipra attacks Fort Kerium, steals the keys to the city and renders herself both marshal and mayor of the frontier town. One of the great TV clichés is the amnesia story. Captain Kirk suffered from amnesia and went native as Kirok in Star Trek’s “The Paradise Syndrome.” Buffy the Vampire Slayer suffered amnesia in “Tabula Rasa” and imagined herself a regular girl. Even Superman forget his identity for a spell in “Panic in the Sky. 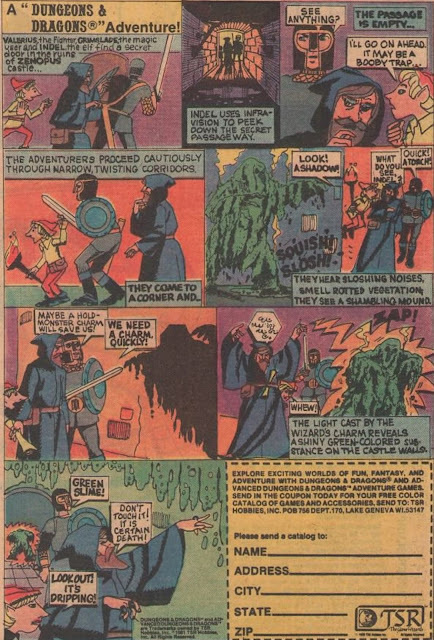 BraveStarr takes a stab at the trope this week, with “Who am I?,” a story that suggests -- in the tradition of the earlier amnesia tales – that even without memories, we are destined to be true to our identities. “Who am I” is a more action-packed episode than some earlier installments of BraveStarr, and pits the friendly marshal against the evil Vipra, a powerful villainess equipped with a spell book of “The Ancients.” She is virtually invincible with the tome in hand, but BraveStarr summons his feelings of love and friendship to restore his identity and defeat her. 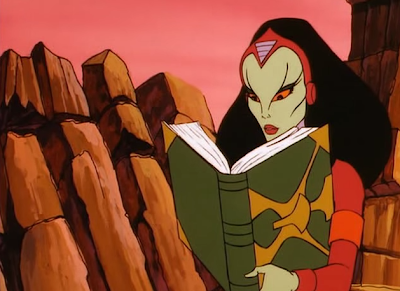 What could have made the story feel a little less familiar was more background on the Lost Book of the Ancients. Before it is stolen by Tex Hex and Vipra, it arrives on New Texas in a top-scret space cruiser, under protection from Galaxy soldiers. It is termed "the most dangerous book in all the galaxy." But why is it being brought to BraveStarr, and who are the Ancients?